To be the leading Capital market products innovator in Sri Lanka. To provide comprehensive capital market solutions to our customers to meet their diverse financial needs. As a part of the LOLC Group, we don’t believe only in the numbers of the company. We highly believe in the service our company has to provide to the community other than the mainlines of business. Hence we frequently get engaged in CSE projects including the annual Dansel. 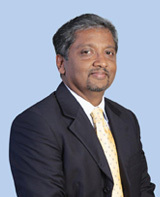 Mr. Kithsiri Gunawardena was appointed to the Board of Directors in January 2013. He joined the LOLC Group in 2004 and counts over 22 years of experience as a Lawyer. 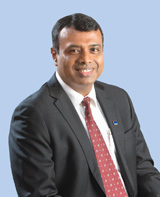 He has held a number of important positions in the state, including the office of State Counsel attached to the Attorney General's Department, the Office of Director - Legal of the Securities and Exchange Commission of Sri Lanka and the Insurance Board of Sri Lanka and was involved in setting up the Consumer Affairs Authority as its first Director General. He holds directorship in a number of LOLC Group Companies. 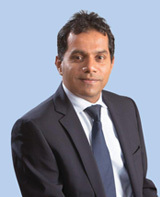 Mr. Sriyan Gurusinghe was appointed to the Board of Directors in September 2011. He is ICMQ (UK) qualified and his stockbroking career spans almost two decades. He commenced his career at Bartleet & Mallory Stock Brokers going on to serve as Director/ GM at Ceylinco Stock Brokers for 14 years. He is the immediate past President of the Stock Brokers Association in Sri Lanka. Joined in 2005. Counts over 18 years of experience in Leasing, Asset Financing, Credit Risk Management and Banking. 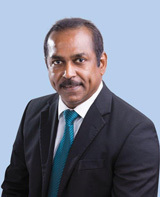 Jayantha has been appointed as a Director of identified subsidiaries within the LOLC Group. Joined in 2007. Counts over 27 years of experience concentrated on Banking and Corporate Treasuries with expertise in Treasury Management including Strategic Risk Management, ALM and Cash Management. Competent in operational management with capacity in handling financing of high value projects. Starting his career as a Banker and particularly in its Treasuries; from thereon moved to Corporate Treasuries. Pioneered the concept of Corporate Treasuries in Sri Lanka. Involved in setting up of the Corporate Treasurers’ Association as its Founder President.